What do YOU think the current housing trend indicates? The median existing home price in March was $212,100, up 8% over last year, according to the NAR. The median list price in March onrealtor.com® was $220,000, which was up 11% over last year. The level of the current price appreciation is not like the bubble. Prices went up 7% and 12% in 2012 and 2013, respectively, as the market corrected for too-severe price declines in the prior years. Last year, the appreciation level moderated. Even factoring in the one-time bounce from the prior overcorrection, median prices have grown less than 8% on a compounded annual basis over the past three years. Median prices, by comparison, grew 10% on a compounded annual basis from 2002 to 2005, without any bounce from a prior decline. On an inflation-adjusted basis, we are 30% beneath the peak set in 2005. Likewise, relative to rents or incomes, median home prices are not “unhinged” from long-term averages. The price-to-rent ratio is similar to the rate in the mid-1990s. It was 35% higher in 2005. The price-to-income ratio is now where it was in 2001, and it was about 30% higher in 2005. During the housing bubble, we saw both prices and sales grow to historical levels fueled by a rapid expansion in mortgage financing. We are clearly not experiencing record sales or record mortgage originations now. As a result, we are not seeing vacancies increase like they did at the end of the bubble. In 2005, vacancies started to rise before sales and prices reached their peak as a result of flipping activity and overleveraged speculative investing. On the contrary now, vacancies have slowly trended back to more normal levels. So, today’s higher prices are only to be expected as the economy improves and first-time buyers gradually return to the market. Eventually, those higher prices should encourage more owners to list their homes and builders to start construction on new housing—which in turn should solve the problem of supply. The beauty of Anchorage can be yours! The opportunity of a lifetime to own a piece of history in Anchorage is available! 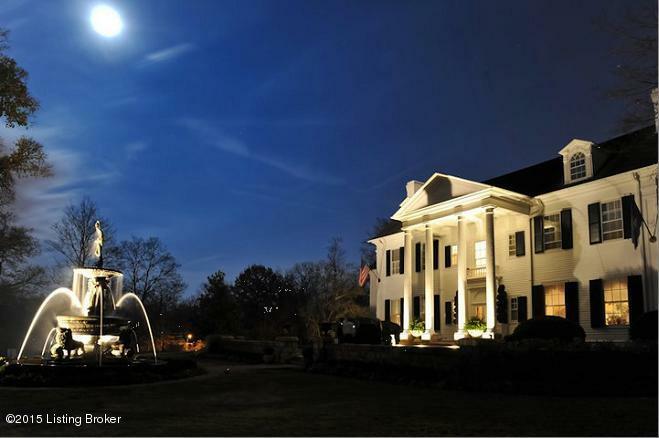 This National Register of Historic Homes property was originally built in 1869 and has been extensively transformed over the years into a magnificent Southern Colonial 8 bedroom, 4.5 bath home designed by architect Frederick Morgan. ''Bellewood'' offers 14' ceilings, random-width hardwood flooring, Terrazzo flooring in the sunroom and magnificent moldings and architectural details throughout. The 3,215-square-foot first floor showcases a formal center foyer and large formal dining and living rooms, a gum wood paneled library, kitchen, sunroom, butler's pantry, formal breakfast room and a powder room. The second floor is 2,866 square feet and contains three guest bedrooms, two full baths, a sewing room and master suite with private bath, dressing area and a large study. There are 1,250 square feet with 4 bedrooms and 1 full bath and another bath construction started on the renovated third floor. The unfinished basement offers additional storage with a lower-level entrance. The recently renovated exterior of the home offers thousands of square feet of custom brick and limestone terraces on three levels, including a breathtaking 30-foot Belgium fountain centered on the front property. The first floor has refinished floors, extensive new custom mill work, new ceilings, new wainscot paneling, kitchen updates, and butlers pantry renovations including new cabinets, a wine cooler, ice machine and second dishwasher. The home boasts period high-end light fixtures throughout. The dining room features original Zuber wallpaper. The ceilings and walls throughout the home have been reskimmed and painted. The baths have offer the original fixtures that have been rebuilt. The remodeling of the third floor includes new wiring, wormwood maple trim, surround sound, custom cabinets for the kitchenette, and custom built-ins. Exterior updates include excavation of front drive, terrace and stone walls, new heated circle drive made of limestone and brick pavers, stone block foundation, imported Belgium fountain, heated brick terraces and brick walkways, new retaining walls and extensive landscaping. More than 150 trees were removed and lumber was milled on site to provide much of the random-width pegged hardwood flooring and cabinetry in the completely renovated cottage. The cottage was raised and a new stone foundation built. The cottage was enlarged to 1123 square feet on two floors and features a copper roof and copper guttering and outdoor shower. A bath with laundry hook ups was added to the cottage and features Carrera marble. The cottage windows are custom built with wood and glass insets. New mechanicals including electric, most plumbing, water lines, Sonos sound system, camera system, computer network, and electrical service updated to 1200 amps. Home is wired for satellite, DSL and technology and security systems. Exterior security lights, and central vacuum. A magnificent covered outdoor kitchen was created with vintage lighting, copper mantle over the 30-foot stone fireplace, two grills, gas burner ideal for crab boils, three sinks, ice maker, granite countertops, cedar beams and copper and mahogany bar. A large outdoor television hangs above the covered entertainment area which leads to the refurbished pool. All custom blinds and drapes remain. All electric and plumbing has been run to the carriage house, cottage, stables and four-car garage. Call Julie Pogue Properties at 502.238.7400 to schedule your private showing today! Just like the kitchen, contemporary designs are growing in popularity in bathroom remodels. These contemporary touches in the bathroom equate to clean and open designs, with floating vanities and freestanding tubs. Last week, at Styled Staged & Sold, we highlighted the top 10 trends for the kitchen this year. This week, we focus on the National Kitchen & Bath Association’s latest trend report on what’s driving bathroom design in 2015. Most popular colors: White and gray are the dominant colors for bathrooms. 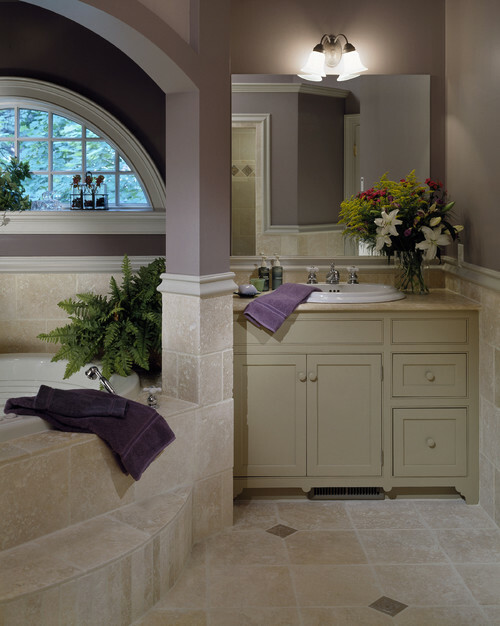 Half of designers expect to see gray growing in 2015, and several designers also mentioned the growing popularity of purple, lavender, and lilac tones gaining steam in bathroom designs. For fixtures, white continues its dominance. Out of style: Jetted tubs, whether whirlpool or air, are decreasing in popularity, according to NKBA’s report. “People are moving away from jetted tubs to more classic soaking tubs,” says Bill Donohoe with Donohoe Design Works in the Los Angeles area. Also, beige fixture colors are increasingly dropping in popularity.